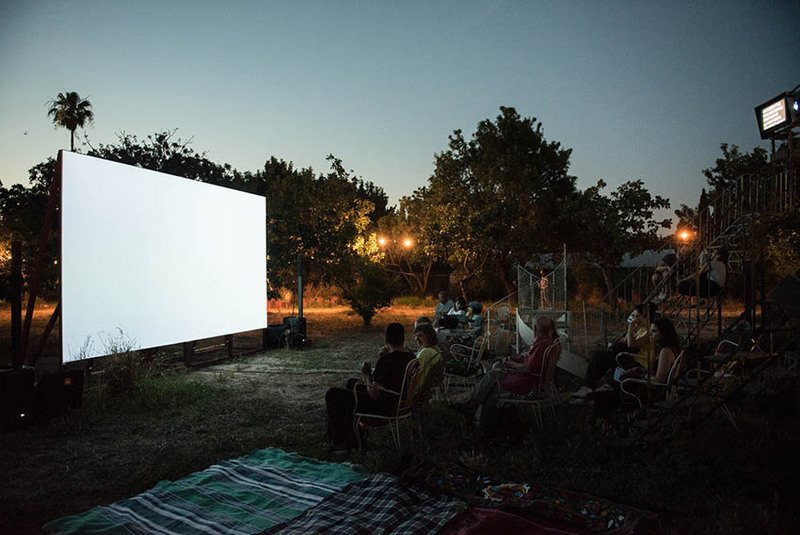 Ecodrome in Cinema Zagara. Photograph by Andreas Souchis. 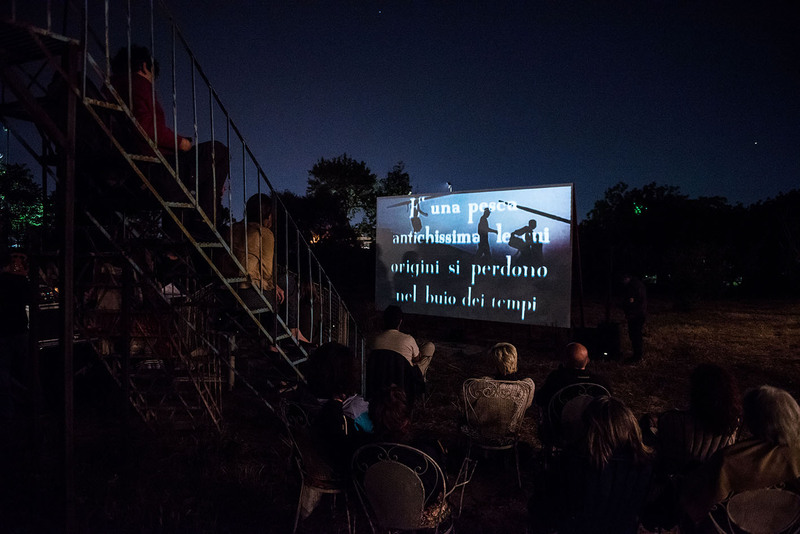 Ecodrome in Cinema Zagara. Photograph by Dimitris Parthimos. Materials: Fire escape staircases from demolitions, steel, plywood. Film programme. Located in Votanikos, a neighbourhood named after its Botanical Gardens, the Agricultural University of Athens is flanked by the state-run Eleonas Refugee Camp. Here, individuals that were forced to leave their homes and lands due to major political and economic consequences of climate change await for a possibility to reconstruct their lives. Some hundred meters away we find the school for the future farmers and agricultural scientists of Greece, who will have to respond with intelligence and sensibility to the radical changes to the landscape and its resources imposed by the transformation to weather patters. 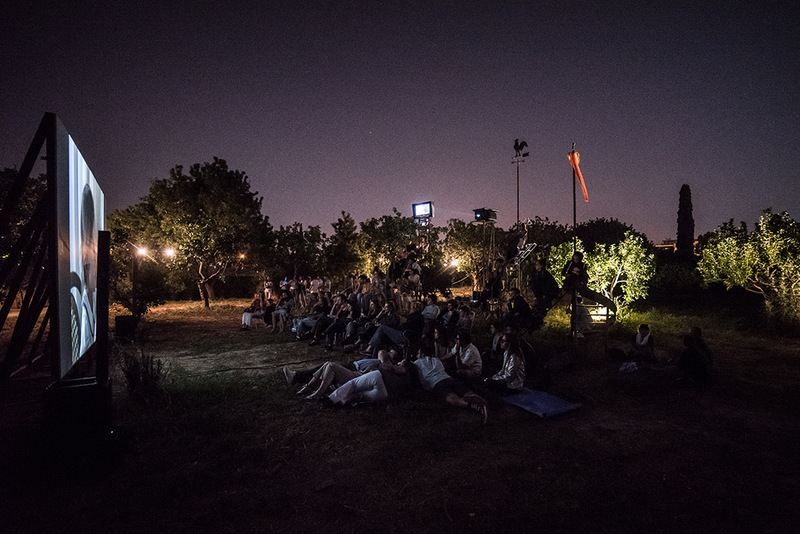 This conflation of geographic, natural, social, cultural and political coordinates is the site of Cinema Zagara. The cinema was conceived as a set of mini-architectural structures that pay tribute to Jantar Mantar, an astronomic observatory located in Delhi, India. 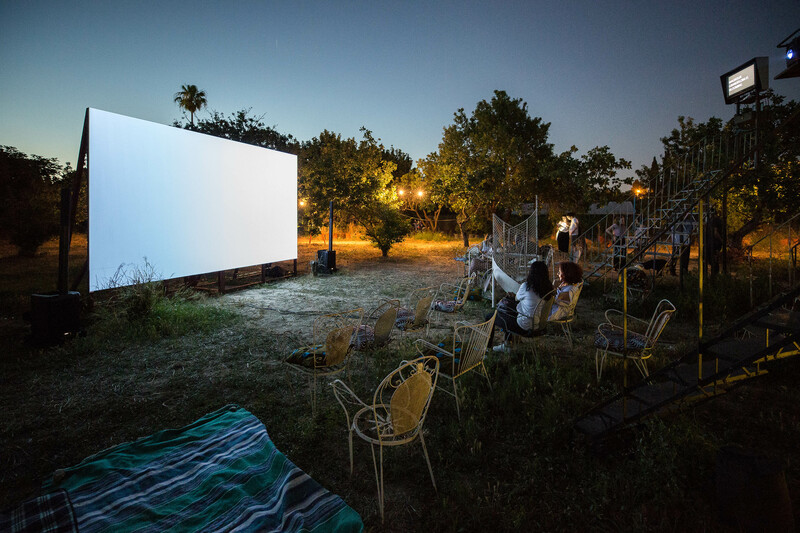 Made out of reused and recycled architectonic elements, the various structures of the cinema gravitate around a large projection screen. They function both as seating and measurement devices for various spatial politico-ecological coordinates that put viewers in relationship to pragmatic, tangible and abstract coordinates. 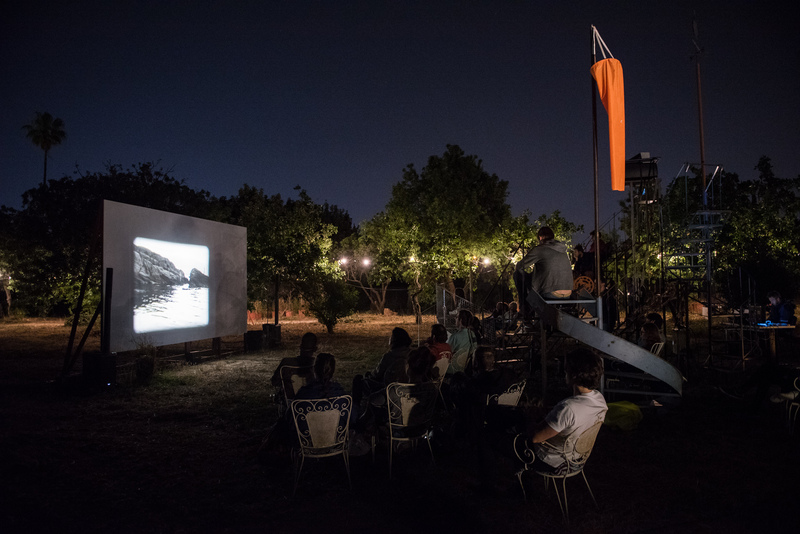 Located in the orchard of the university and operating on Sunday evenings, Cinema Zagara responds to its surroundings by looking at the way in which engaged filmmakers react to our current times of climate upheaval. 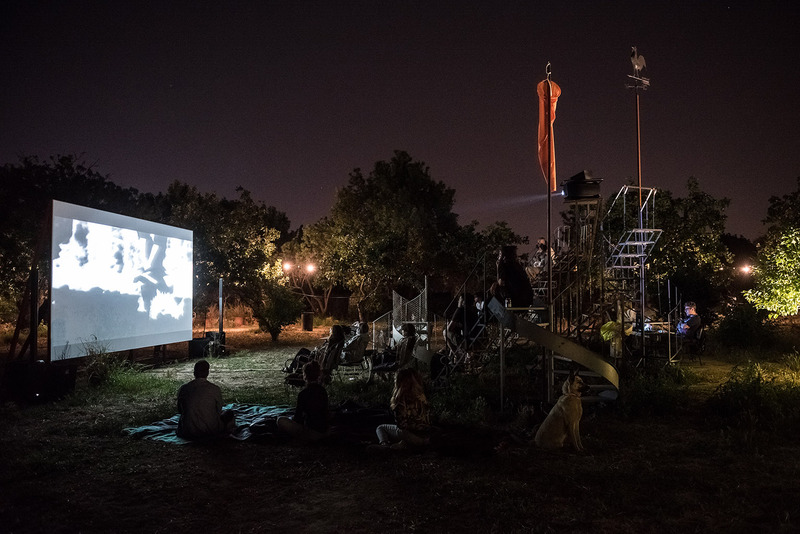 Ecodrome, its programme, is spread out across five screening sessions—Forgotten Spaces, Seed, Water, Earth, Fire, Air—which combine documentaries, artists’ films and feature-length films that deal with the consequences of living in a dangerously warmer world for people, animals and landscape alike. 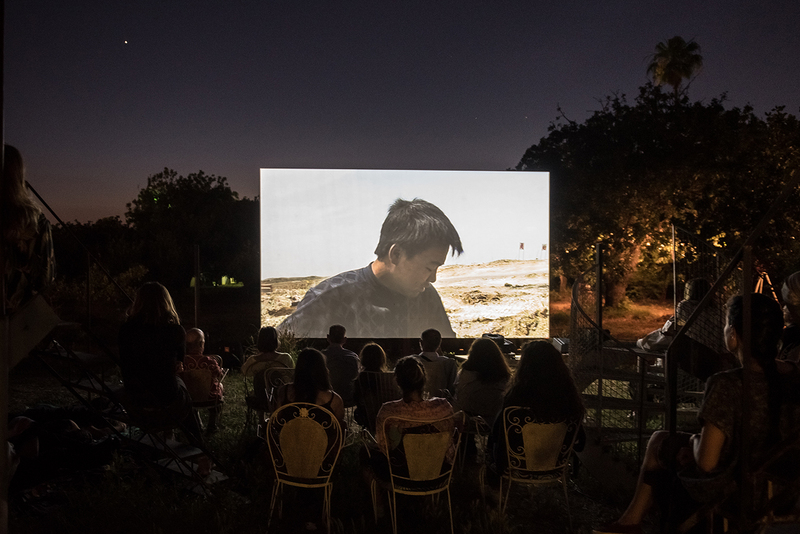 The screened films will offer past and present-day observations of industrial and traditional farming and fishing methods, depictions of global capitalism’s philosophy of extraction, accounts of the challenges of waste processing and pollution and portraits of migrants all over the world. Avoiding catastrophic and apocalyptic discourses by offering poetic and compelling visions of our times, these unique and rarely seen films appeal to individual and collective transformation for a more compassionate world. 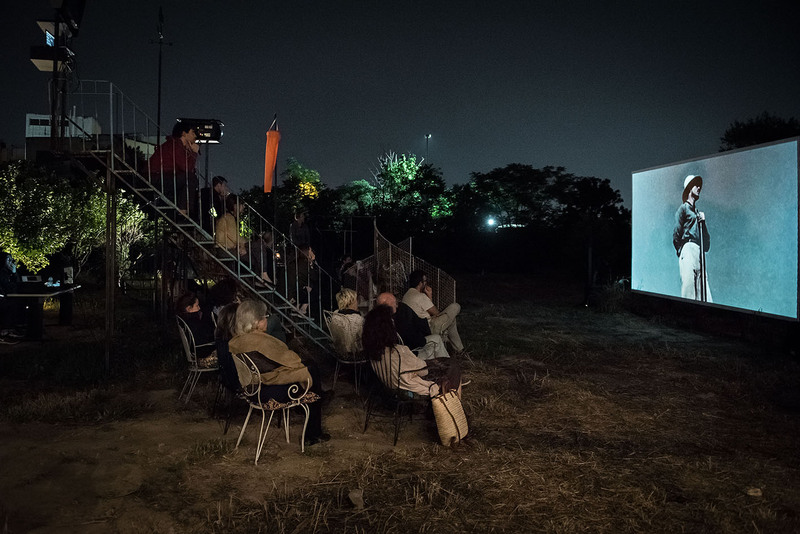 Ecodrome is contemporaneously presented on Vdrome (www.vdrome.org), an online cinema that offers regular, high quality screenings of films and videos directed by visual artists and filmmakers whose production lies in-between contemporary art and cinema. On the occasion of its 5th anniversary and coinciding with the entire length of Cinema Zagara, Vdrome dialogues with the programme of Ecodrome by presenting a series of works that further expand its topics and concerns.